Jerry Sanstead has been involved in the health and wellness industry for 18 years. He has been able to experience, first hand, the important role that health plays in each person’s life. He has witnessed the many challenges that family, friends and clients, have faced over the years. During those moments, Jerry has understood that people will do anything for their health. Our health is one of those precious gifts we do not think about, until it is no longer present. For this reason, he has committed himself to helping others improve their health, while striving to ensure his own. Jerry’s contributions to the health and wellness industry have been focused on the importance of tissue health. Over the years, he has become a master of soft tissue manipulation and he has the ability to assist people with problems that range from general health issues to very specific injury and chronic pain related conditions. Jerry attended Central Arizona College where he received some advanced training in Anatomy and Physiology. For five years, he studied under Edmundo Castillo, a master deep tissue therapist, in conjunction with, a Massage Therapy Program through the Institute of Natural Therapeutics. The education Jerry has received has provided the groundwork for a very extensive professional career. He has worked at multiple health and wellness facilities where his roles have varied from therapist to department coordinator to clinical director. Jerry has been successful with clients of all ages. He has worked with individuals in their teens to others who are in their 90’s as well as numerous professional athletes and corporate individuals. This has led Jerry to understand the importance of the individual and how to be effective in treating a variety of needs in everyone’s unique situation. As one of the founders of Macrotherapy, Jerry continues to develop and participate in an organization that allows people to experience health, happiness and success. He has managed to take all of his experiences and communicate those in a way that encourages and motivates others to strive for excellence. Jerry is determined to make a difference. He strives to make available through Macrotherapy, an opportunity that provides all of us with a chance for a functional, balanced, and pro-active life. At Macrotherapy, an integrative health and rehabilitation facility in Scottsdale, Arizona, you will work one on one with a highly trained team of experts who will facilitate a one of a kind healing experience that produces noticeable and lasting results. Macrotherapy is comprised of a team of dedicated medical professionals, committed to empowering people to live extraordinary lives by restoring integrity and function to the physical body. Whether you are suffering an injury, dealing with chronic pain or in need of pre/post-surgery support, we can help you get back to a place where you are fulfilling on the parts of your life that matter most. By participating in our corrective exercise and soft tissue manipulation programs, you will experience a more supported and functional body. This refreshing approach will allow continued access to your active lifestyle and hobbies with enough energy to be fully engaged in your life! 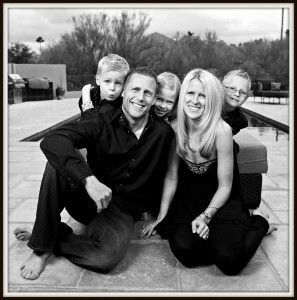 To learn more about Macrotherapy, give us a call at (602) 308-8383 or visit us online today at http://macrotherapy.com/!